Short description: It's never too late to learn. If you agree with this statement than this responsive Moto CMS 3 template with an integrated drag & drop builder is for you. 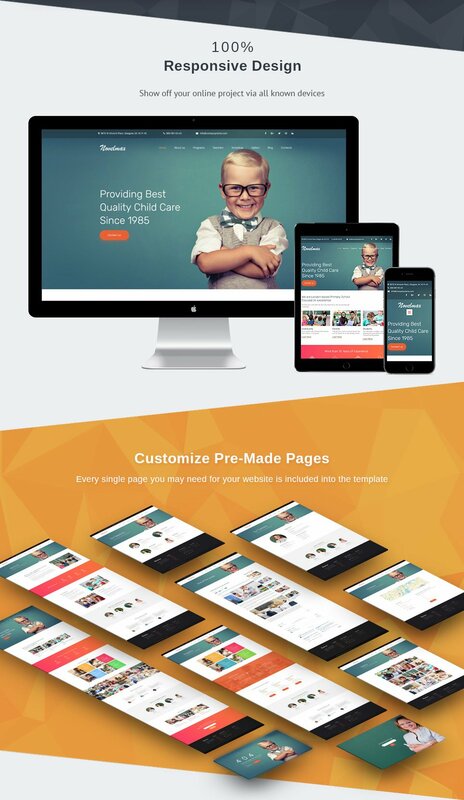 It was designed specifically for educational and child care institutions, and boasts an optimized layout in combination with the well-thought-out design. 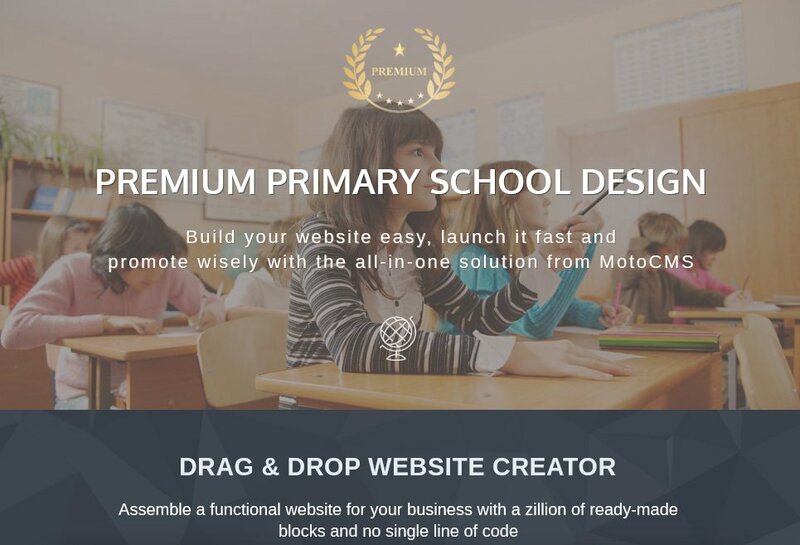 Its bright and colorful look is best for websites of primary schools and kindergartens, providing a cheerful feel and great readability. The top bar is worthy of a special mention. It includes such important information as the address of your company and its business phone, and contributes to the user experience provided by your website. 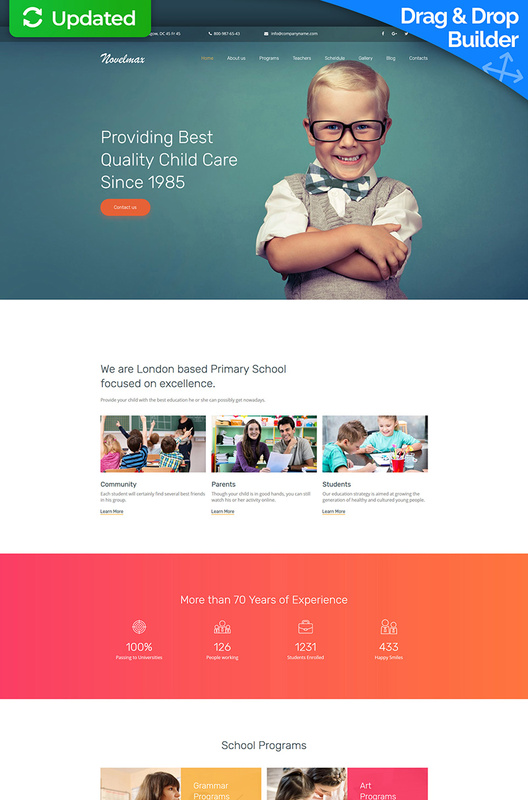 Grab this template if you need to build a sustainable educational website that will boost your brand awareness and help your business grow.